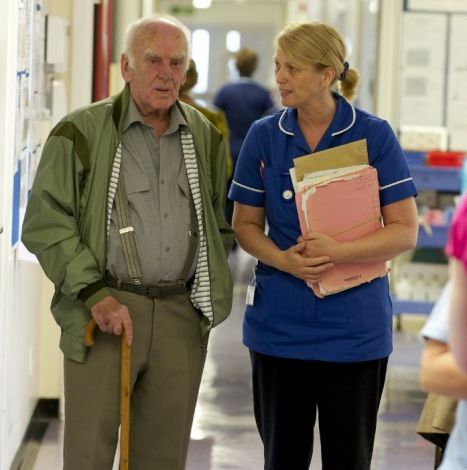 Going home from hospital is an important part of the service that we provide. We always aim to make discharge safe and as easy as possible. This page provides information on what to expect at discharge and where to seek further information if you need it. It also provides information on services that the Red Cross offer around discharge. Discharge letter and form. You will also receive a Discharge Letter indicating what medications you are being discharged on and further information about why you have been in hospital. This letter also goes directly to your GP to inform them of this admission to hospital. You will also receive a Discharge Form which is for you to keep safe and contains discharge information that you will have discussed with the nurse/staff member discharging you. Wherever possible we will aim to discharge you from hospital in a timely manner. Late discharges from our wards may occur, however, for a number of reasons; it might be you are waiting for a final review from a senior doctor; you may be waiting for transport; you may be waiting for medications. We will endeavour to expedite your discharge as quickly as possible but if you are discharged from hospital late into the evening, this will be discussed with you and should only occur if it is safe to do so. If you are in one of our assessment units such as Accident and Emergency and the Clinical Decisions Unit or the assessment area of the Acute Medical Unit, you may be discharged during the night once assessment and monitoring, or a review by a doctor, shows you are able to return home and do not need to be admitted to the main hospital wards. As always we will only discharge you if it is safe to do so. The hospital works with the North West Ambulance Service (NWAS) to provide patient transport services for patients who are eligible for those services. However, we are unable to provide transport for all patients when being discharged from hospital.Wherever possible we would ask that relatives and friends come and collect you and take you home. There will be times when this is not possible and we do understand and want to help at these times. Out of hours, when ambulances are needed to take patients who have been in A&E or an assessment unit, please be aware that you could be waiting for the ambulance to take you home for some time as we depend on the emergency ambulance service at these times. We work closely with NWAS to do this as quickly as possible, but we cannot book a definite set time for out of hours ambulance transport due to other unpredictable pressures on ambulances. Discharge Suite - Information leaflet for patients - Click here to view. P atients will, where possible, leave Warrington Hospital via our Discharge Suite, a comfortable, supported environment for patients to commence their onward journey home or to their next care setting. As soon as patients are identified as being able to b e discharged they are booked into the suite and, if mobile, are able to enjoy the seated area with all the trimmings including Wifi, TV, hot and cold drinks, sandwiches; books magazines and games. There they can await transport, collection by family/carers or friends and their take-home medications. The Suite has a dedicated clinical tea m and is equipped with thirteen comfortable chairs, six recliners and seven high backs. There are four bed/trolley bays for patients whose acute care is complete but may require further supported care in intermediate care or the community. The Suite is open 7-days per week from 8am-9pm weekdays and 10am-7pm at weekends. When you are discharged, please make sure you have all your belongings with you and you have your medications. Please ask a member of staff if you are unsure about anything prior to your discharge. We will be happy to help you. Contact your GP if you have any questions on follow up care in the community. 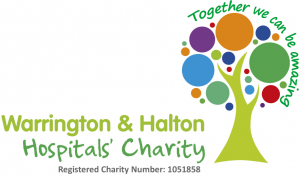 The British Red Cross have services based at Warrington and Halton Hospitals and give practical help to people in the first few weeks after discharge from hospital or after an illness. Staff and volunteers visit people in their own homes to help them regain their confidence and get back to normal life. Support they can provide can range form help with shopping, collecting prescriptions, safe and well checks and much more. They can also offer support to carers who may need a few hours break. If you want to contact the Warrington team you can call directly on 01925 662688 - Monday to Friday office hours.